Storm Damage Repair | Maryville, TN | Valley Vista Construction, Inc.
Our years of experience working on both homes and businesses make us a versatile contractor to work with. Our highly skilled roofers know that our reputation rests on us delivering reliable roofing services, that’s why we’ll never cut corners or use low quality materials to minimize costs or finish the job faster. 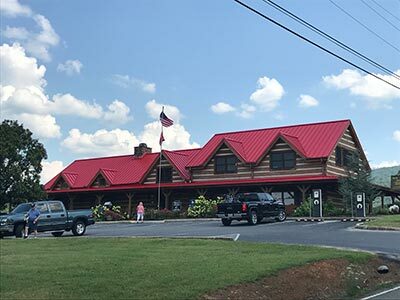 When your Maryville, TN, home or business requires roofing services, get it touch with the company that stands behind the quality of their workmanship and products. When we take on a roofing project, we make it a point to sit down and discuss with customers exactly what they want out of their roof. A keen understanding of the customer’s goals allow us to provide a personalized approach with our roofing services, ensuring that they get a high-performance roofing system that they can afford with their budget. We can also help out with insurance concerns, even represent customers when they file for an insurance claim. We make sure you get the most out of your claim so that you get the repairs along with the compensation you deserve. Valley Vista Construction, Inc. offers complete roofing and gutter services. As the preferred contractor in Maryville, TN, and surrounding areas, you can trust us to deliver quality services every single time. Give us a call at (865) 963-7003 or send us a message via our Contact page for a free estimate.